Many places I visit are fine. There’s nothing wrong with them, I find some interesting things to see and do and then I leave. I don’t normally think about them again, even though the experiences weren’t bad per se. Then there are other cities, places that seem to capture not only my interest, but my heart along with it. These are special destinations, cities or entire regions I think about often, usually plotting a way to return and experience whatever I loved about them once more. San Antonio is one of those cities. I wasn’t prepared to enjoy San Antonio as much as I did, so perhaps some of that newfound love and respect stems from surprise, but it mostly comes from the wonderful experiences that San Antonio has to offer. I’d long heard about San Antonio’s River Walk, but nothing quite prepared me for the actual experience of strolling alongside it. Created over time in what can only be called a brilliant act of urban planning, today it’s a 15-mile stretch of parks and walkways following the San Antonio River. Set a story below the rest of the city, as soon you as you climb the steps down to the River Walk, the change is immediate. Surrounded by blooming flowers, cooler temperatures and almost irrationally happy people, I soon found myself one of those oddly ebullient visitors, all mesmerized by the city almost instantly. It’s a great treasure for San Antonio, and I best enjoyed it while on a 35-minute cruise along it with the company Go Rio. With equally happy guides – I soon learned there’s no reason not to be happy in San Antonio – the cruise was informative but also relaxing, and a fun and easy way to see the best stretches of the River Walk. The city though is so much more than the river, and throughout my time in San Antonio I was constantly surprised by how laid back and easy everything was. It’s a large city, but downtown isn’t chaotic and thanks to a culture of preservation, the city has a lot more character than most. Art deco facades blend in seamlessly with newer buildings, creating a rich architectural tapestry that frankly is hard to find. No single landmark is perhaps more famous in San Antonio though than a certain Spanish mission, what we call the Alamo. Celebrating its 300th anniversary in 2018, San Antonio has no shortage of fascinating history to share, but perhaps none are more famous than its missions. 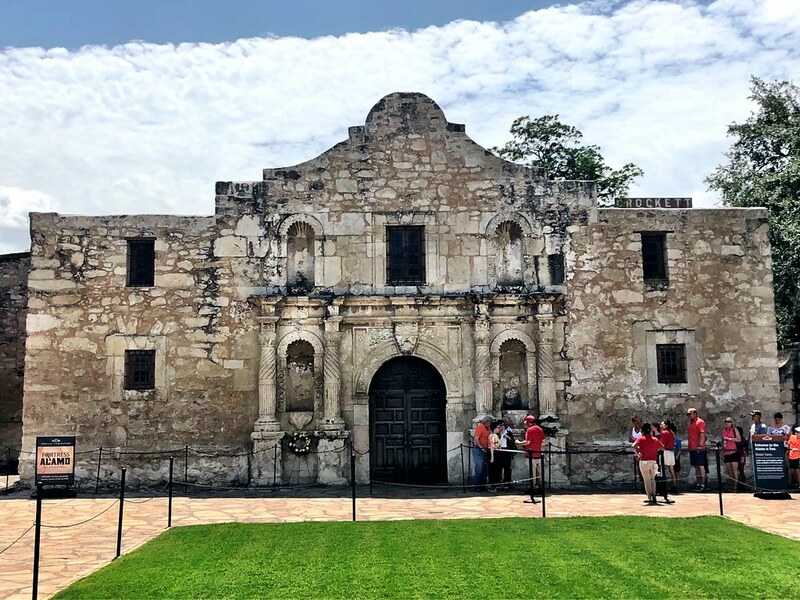 More than just the Alamo, the five missions in and around San Antonio form an important UNESCO World Heritage Site as well as the base of my own explorations around the city. Driving to two of the missions before reaching the Alamo, I was struck by their inherent beauty and of course rich history. But the real attraction for many of course is the Alamo, located in downtown San Antonio. Missions were settlements, intended for the education and subsequent conversion of local Native Americans. Residents were originally clergy and military, but civilians later came and created more robust settlements. Some grew into what are now large cities, but the Alamo is most famous for the Battle of 1836. The battle was a pivotal event in the Texas Revolution and the loss of the Texan defenders in ways that can only be called cruel inspired many more to join the cause. It was a turning point and is still considered not only a rallying cry, but a solemn memorial site as well. While the Alamo is of course worth a visit, so are the other missions, so make sure to see them all. Texas hospitality is a very real thing, but in San Antonio they take it up a few more notches. I first enjoyed that warm welcome at the incredible luxury hotel that served as my home base, The St. Anthony. 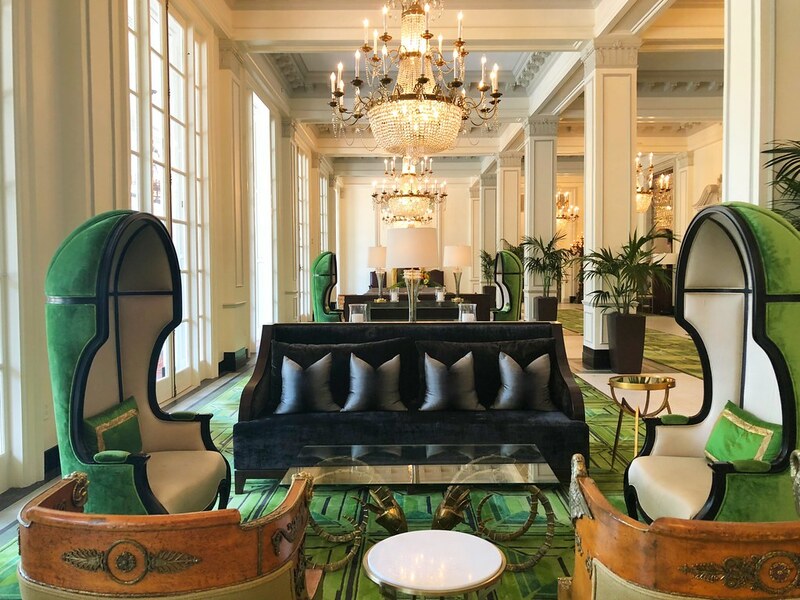 Part of Marriott’s Luxury Collection, it’s a historic building that itself has become a part of the city’s impressive history. However, it is also very much a modern luxury hotel with all of the amenities I would expect. It was my first time at a Luxury Collection hotel, but based on this experience I know that it won’t be my last. Throughout the city and region, Marriott actually has more than 40 hotels and resorts at every price point, making it an easy city to visit. Hospitality doesn’t exist only in hotels though, it was also on full display as I walked into the small shop on Broadway, Paris Hatters. For more than a century, these haberdashers have supplied hats to everyone from modest cowboys to country music stars and even the Pope. 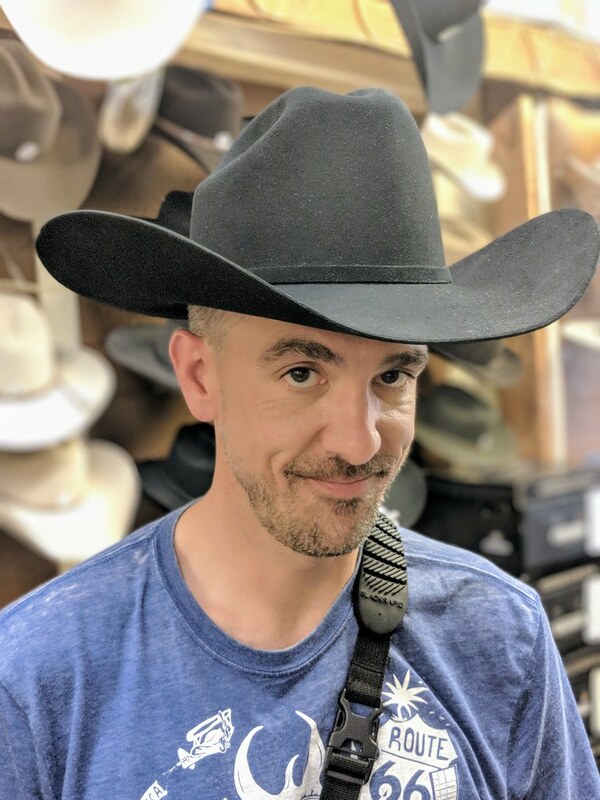 While many may enter to try on a traditional cowboy hat or two, they have a full range of hats for sale, as I learned when they kindly took me through the process of finding my ideal head covering. (Black cowboy hat in case you were wondering) From the hatters to the hotel and beyond, I was made to feel welcome everywhere I went. More than a tourist, I was a visitor and while that small difference may seem like semantics, in practice it’s so much more. Sure, along the River Walk you’ll find most of those American staples that you’d expect in any tourist destination. But you’ll also discover local favorites thrown in along with some creative up and comers. My favorite restaurant though wasn’t along the river, it was deeper in town at a place that is quirky and odd, but as I learned, a local favorite. For more than 70 years, Mi Tierra Cafe y Panaderia has grown from a tiny three-table cafe to the personification of Tex-Mex fabulousness that it is today. Walking in my senses went on high alert. Decorated with what seems like every prop in the world, I didn’t know where to look first, but I smelled what I wanted to try. 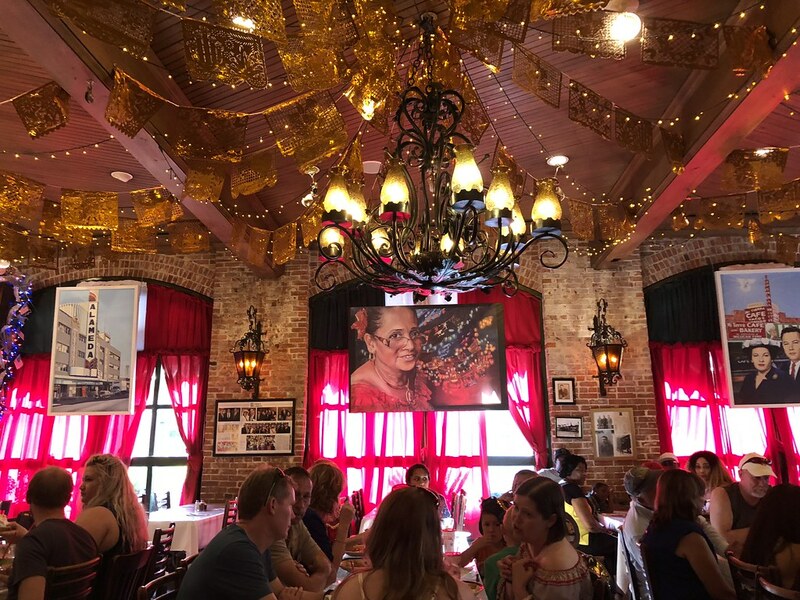 While the decorations are a little over the top, the food backs it up with all of the traditional Tex-Mex and pure Mexican favorites you would expect. Leaving full and happy, I understood why so many people recommended this institution and I sincerely hope that it’s not my last time enjoying the 24/7 fiesta at Mi Tierra. 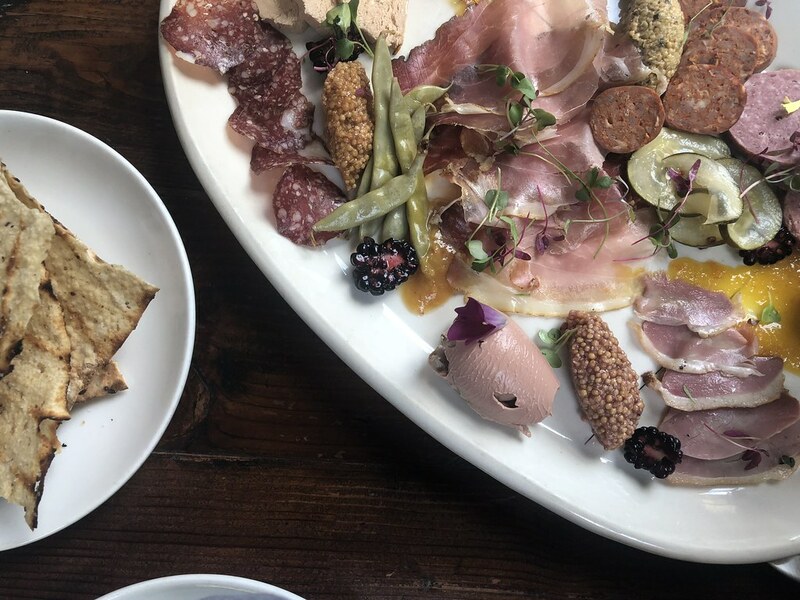 Like many other cities though, San Antonio is enjoying a sort of culinary renaissance, and nowhere in town is that better seen than in the Pearl District. Once the headquarters of a major brewery, the building complex was purchased and reimagined as the mixed-use community that it is today. Apartments and shops are clearly abundant, but at the center of the Pearl experience are the creative food concepts, especially at Cured. Housed in what used to be the brewery’s administrative building, the design and architecture has been thankfully preserved but also enhanced with a more modern aesthetic. The food though is what will keep me returning, and true to its name you’ll find any number of cured and dried foods from an incredible array of Texas meats to more subtle ingredients. When I visited for lunch the restaurant was buzzing, and as soon as I took my first bite I understood why. More than hipster chic, the food is incredible and a fun way to experience San Antonio’s new culinary revolution. Although there’s plenty to see and do to keep just about anyone busy, the broader Texas Hill Country makes for a fun and easy daytrip and offers completely different experiences. 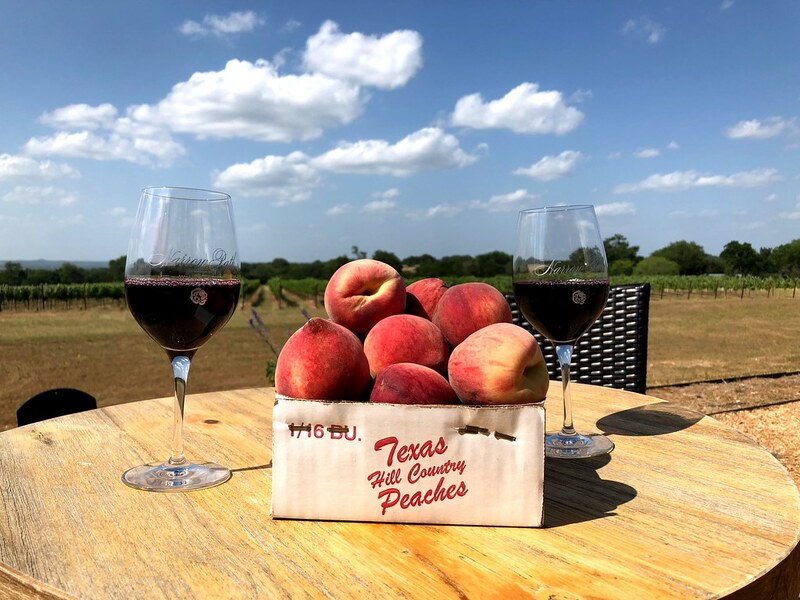 Long known for its wineries, Fredericksburg is at the center of the Hill Country experience, and many wineries have small tasting shops in town to expose visitors to their vintages. But for a real winery experience, stop by the new kid on the winery scene Narrow Path Winery. Featuring a variety of red and white varietals, the wine is excellent, the views are beautiful and the staff relaxed and humble – a great combination. If you’re a history buff like I am, be sure to also stop by the LBJ Ranch, usually called the Texas White House. This was Johnson’s escape from the pressures of Washington and, as such, is also where many important decisions were made. Visit for the history, but linger to admire the expansive ranch and beautiful Hill Country views. Before visiting San Antonio, I knew I would like it – everyone seems to. What I didn’t anticipate was how happy I would feel there, how at ease and how much I didn’t want to leave. That means a lot when we travel and is what will keep me returning to the city for years to come.